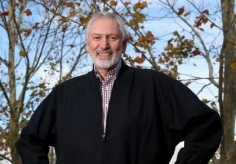 Alan Lopez, MS, PhD, is a Melbourne Laureate Professor and the Rowden-White Chair of Global Health and Burden of Disease Measurement at the University of Melbourne. 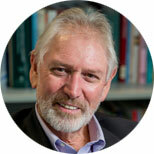 He is also Director of the Global Burden of Disease Group in the Melbourne School of Population and Global Health. He is an Affiliate Professor of Global Health at the Institute for Health Metrics and Evaluation (IHME) at the University of Washington. He held prior appointments as Professor of Medical Statistics and Population Health, Professor of Global Health, and Head of the School of Population Health at the University of Queensland from 2003 to 2012. Prior to joining the University, he worked at the World Health Organization (WHO) in Geneva, Switzerland for 22 years where he held a series of technical and senior managerial posts including Chief Epidemiologist in WHO’s Tobacco Control Program, Manager of WHO’s Program on Substance Abuse, Director of the Epidemiology and Burden of Disease Unit, and Senior Science Advisor to the Director-General. Professor Lopez is a highly cited author whose publications have received worldwide acclaim for their importance and influence in health and medical research. He is the co-author with Christopher Murray of the seminal Global Burden of Disease Study (1996), which has greatly influenced debates about priority setting and resource allocation in health. He is the co-author with Sir Richard Peto of the Peto-Lopez method, which is widely used to estimate tobacco-attributable mortality to support policy action. Professor Lopez is on the editorial board of PLoS Medicine, BMC Medicine, The International Journal of Epidemiology, and Preventive Medicine and is co-Editor in Chief of Population Health Metrics. He was elected as a Foreign Associate Member of the Institute of Medicine of the US National Academy of Sciences in 2009. He has previously served as a member of the Wellcome Trust Population and Public Health Funding Committee (2007-2010), the WHO Expert Committee on NCD Surveillance (2009-2011), the US National Academy of Sciences Panel on Divergent Trends in Longevity (2008-2011), the Scientific Board of the Oxford Health Alliance Grand Challenges in Non-Communicable Disease (2006-2009), was former Chair of the Health and Medical Research Council of Queensland (2006-2008), and was Chair of the Executive Board of the Health Metrics Network (2012-2013). He has been awarded several major research grants in epidemiology, health services research, and population health. He received a BSc with honors from the University of Western Australia, an MS from Purdue University in Lafayette, IN, and his PhD from the Australian National University in Canberra. Mokdad AH, Mensah GA, Krish V, Glenn SD, Miller-Petrie MK, Lopez AD, Murray CJL. Global, Regional, National, and Subnational Big Data to Inform Health Equity Research: Perspectives from the Global Burden of Disease Study 2017. Ethnicity & Disease. 21 Feb 2019; 29(1):159-172. doi:10.18865/ed.29.S1.159. Hay SI, Rao PC, Dolecek C, Day NPJ, Stergachis A, Lopez AD, Murray CJL. Measuring and mapping the global burden of antimicrobial resistance. BMC Medicine. 4 Jun 2018; 16:78. doi.org:10.1186/s12916-018-1073-z. Serina P, Riley I, Stewart A, Flaxman A, Lozano R, Mooney M, Luning R, Hernandez B, Black R, Ahuja R, Alam N, Alam SS, Ali SM, Atkinson C, Baqui AH, Chowdhury HR, Dandona L, Dandona R, Dantzer E, Darmstadt G, Das V, Dhingra U, Dutta A, Fawzi W, Freeman M, Gamage S, Gomez S, Hensman D, James SL, Joshi R, Kalter HD, Kumar A, Kumar V, Lucero M, Mehta S, Neal B, Ohno SL, Phillips D, Pierce K, Prasad R, Praveen D, Premji Z, Ramirez-Villalobos D, Rampatige R, Remolador H, Romero M, Said M, Sanvictores D, Sazawal S, Streatfield PK, Tallo V, Vadhatpour A, Wijesekara N, Murray CJL, Lopez AD. A shortened verbal autopsy instrument for use in routine mortality surveillance systems. BMC Medicine. 2015 Dec 16; 13:302. doi:10.1186/s12916-015-0528-8. Serina P, Riley I, Stewart A, James SL, Flaxman AD, Lozano R, Hernandez B, Mooney MD, Luning R, Black R, Ahuja R, Alam N, Alam SS, Ali SM, Atkinson C, Baqui AH, Chowdhury HR, Dandona L, Dandona R, Dantzer E, Darmstadt GL, Das V, Dhingra U, Dutta A, Fawzi W, Freeman M, Gomez S, Gouda HN, Joshi R, Kalter HD, Kumar A, Kumar V, Lucero M, Maraga S, Mehta S, Neal B, Ohno SL, Phillips D, Pierce K, Prasad R, Praveen D, Premji Z, Ramirez-Villalobos D, Rarau P, Remolador H, Romero M, Said M, Sanvictores D, Sazawal S, Streatfield PK, Tallo V, Vadhatpour A, Vano M, Murray CJL, Lopez AD. Improving performance of the Tariff Method for assigning causes of death to verbal autopsies. BMC Medicine. 2015 Dec 8; 13:291. doi: 10.1186/s12916-015-0527-9. Flaxman AD, Serina PT, Hernandez B, Murray CJL, Riley I, Lopez A. Measuring causes of death in populations: a new metric that corrects cause-specific mortality fractions for chance. Population Health Metrics. 2015 Oct 12; 13:28. doi:10.1186/s12963-015-0061-1. Phillips DE, AbouZahr C, Lopez AD, Mikkelsen L, de Savigny D, Lozano R, Wilmoth J, Setel PW. Are well functioning civil registration and vital statistics systems associated with better health outcomes? The Lancet. 2015 May 10. doi: 10.1016/S0140-6736(15)60172-6. Rampatige R, Mikkelsen L, Hernandez B, Riley I, Lopez AD. Systematic review of statistics on causes of deaths in hospitals: strengthening the evidence for policymakers. Bulletin of the World Health Organization. 2014; 92:807-816. doi: 10.2471/BLT.14.137935. Murray CJL, Lopez AD. Measuring the Global Burden of Disease. New England Journal of Medicine. 2013; 369:448-457. Joubert J, Rao C, Bradshaw D, Vos T, Lopez AD. Evaluating the quality of national mortality statistics from civil registration in South Africa, 1997–2007. PLoS ONE. 2013 May 27; 8(5). Foreman KJ, Lozano R, Lopez AD, Murray CJL. Modeling causes of death: an integrated approach using CODEm. Population Health Metrics. 2012; 10:1. Lozano R, Freeman MK, James SL, Campbell B, Lopez AD, Flaxman AD, Murray CJL, the Population Health Metrics Research Consortium (PHMRC). Performance of InterVA for assigning causes of death to verbal autopsies: multisite validation study using clinical diagnostic gold standards. Population Health Metrics. 2011; 9:50. Murray CJL, James SL, Birnbaum JK, Freeman MK, Lozano R, Lopez AD, and the Population Health Metrics Research Consortium (PHMRC). Simplified Symptom Pattern Method for verbal autopsy analysis: multisite validation study using clinical diagnostic gold standards. Population Health Metrics. 2011; 9:30. Murray CJL, Lozano R, Flaxman AD, Vahdatpour A, Lopez AD. Robust metrics for assessing the performance of different verbal autopsy cause assignment methods in validation studies. Population Health Metrics. 2011; 9:28. Murray CJL, Lopez AD, Black R, Ahuja R, Ali SM, Baqui A, Dandona L, Dantzer E, Das V, Dhingra U, Dutta A, Fawzi W, Flaxman AD, Gomez S, Hernandez B, Joshi R, Kalter H, Kumar A, Kumar V, Lozano R, Lucero M, Mehta S, Neal B, Ohno SL, Prasad R, Praveen D, Premji Z, Ramirez-Villalobos D, Remolador H, Riley I, Romero M, Said M, Sanvictores D, Sazawal S, Tallo V. Population Health Metrics Research Consortium gold standard verbal autopsy validation study: design, implementation, and development of analysis datasets. Population Health Metrics. 2011; 9:27. Obermeyer Z, Rajaratnam JK, Park CH, Gakidou E, Hogan MC, Lopez AD, Murray CJL. Measuring adult mortality using sibling survival: a new analytical method and new results for 44 countries, 1974–2006. PLoS Medicine. 2010 Apr 13; 7(4):e1000260. Murray CJL, Rajaratnam JK, Marcus J, Laakso T, Lopez AD. What can we conclude from death registration? Improved methods for evaluating completeness. PLoS Medicine. 2010 Apr 13; 7(4):e1000262. Vos T, Barker B, Begg S, Stanley L, Lopez AD. Burden of disease and injury in Aboriginal and Torres Strait Islander peoples. International Journal of Epidemiology. 2009; 38(2):470-477. Joshi R, Lopez AD, MacMahon S, Reddy S, Dandona R, Dandona L, et al. Verbal autopsy coding: are multiple coders better than one? Bulletin of the World Health Organisation. 2009; 87:51-7. Lopez AD. Health and health-research priorities: has WHO got it right? The Lancet. 2008; 372(9649):1525-27. Franca E, de Abreu DX, Rao C, Lopez AD. Evaluation of cause-of-death statistics for Brazil, 2002–2004. International Journal of Epidemiology. 2008; 37:891–901. Chandramohan D, Shibuya K, Setel P, Cairncross S, Lopez AD, Murray CJL, et al. Should data from demographic surveillance systems be made more widely available to researchers? PLoS Medicine. 2008; 5(2):0169-73. Murray CJL, Lopez AD, Barofsky JT, Bryson-Cahn C, Lozano R. Estimating population cause-specific mortality fractions from in-hospital mortality: validation of a new method. PLoS Medicine. 2007 Nov 20; 4(11):e326. Murray CJL, Lopez AD, Feehan DM, Peter ST, Yang G. Validation of the symptom pattern method for analyzing verbal autopsy data. PLoS Medicine. 2007 Nov 20; 4(11):e327. Murray CJL, Laakso T, Shibuya K, Hill K, Lopez AD. Can we achieve Millennium Development Goal 4? New analysis of country trends and forecasts of under-5 mortality to 2015. The Lancet. 2007 Sept 22; 370:1040–1054. Hill K, Vapattanawong P, Prasartkul P, Porapakkham Y, Lim SS, Lopez AD. Epidemiologic Transition Interrupted: a reassessment of mortality trends in Thailand 1980-2000. International Journal of Epidemiology. 2007; 36:374-384. Vapattanawong P, Hogan MC, Hanvoravongchai P, Gakidou E, Vos T, Lopez AD, et al. Reductions in child mortality levels and inequalities in Thailand: analysis of two censuses. The Lancet. 2007 Mar 10; 369(9564):850-5. Rao C, Yang G, Hu J, Ma J, Xia W, Lopez AD. Validation of cause-of-death statistics in urban China. International Journal of Epidemiology. 2007 Feb 28; 36(3):642-51. Ezzati M, Lopez AD, Rodgers A, Murray CJL, eds. Comparative Quantification of Health Risks: The Global and Regional Burden of Disease Attributable to Selected Major Risk Factors (Vols. 1 and 2). Geneva: World Health Organization, 2004. Ezzati M, Vander Hoorn S, Rodgers A, Lopez AD, Mathers CD, Murray CJL, the Comparative Risk Assessment Collaborating Group. Estimates of global and regional potential health gains from reducing multiple major risk factors. The Lancet. 2003; 362(9380):271-80. Erratum 365(9453). Ezzati M, Lopez AD, Rodgers A, Vander Hoorn S, Murray CJL, The Comparative Risk Assessment Collaborating Group. Selected major risk factors and global and regional burden of disease. The Lancet. 2002; 360(9343):1347-1360. 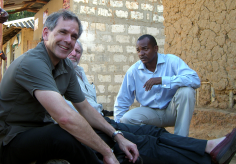 Professor Alan Lopez and IHME Director Christopher Murray awarded Gairdner Global Health Award 2018 For ground-breaking work in conceptualizing and quantifying the Global Burden of Disease.